Jason Perelman, MD (Hollywood) - Book Appointment Online! 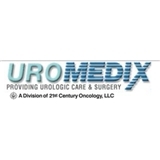 Uro-medix is a private practive urology group made up of three board certified urologists. Urology is a surgical subspecialty that deals with the urinary and genital systems of males and females. Each of the physicians in our group practice general adult urology. We also specialize in laparoscopic surgery, laser surgery, and advanced female urology.